Create a Timeline: Most foreclosure cases (and many other areas of law) are fact intensive, and its a huge help for a client to have a timeline of the case, from beginning to end. Keep Copies of Everything: Having ready access to the important papers in your case save incredible time for your attorney. Keep copies of everything. With that in mind . . .
Stay Organized: Find a way to organize your materials. I’m a huge believer in going “paperless” by scanning all my documents and then storing them into easy-to-find folders on my computer. Services like Google Drive and Dropbox are great for this. Being able to provide your attorney with an organized file of your paperwork makes everyone’s life much easier. Create a “cast of characters“: Make a list of every person who has anything to do with your case (or knows something about it). Include as much information about each person you know. Not only will this help your lawyer better prepare your case, it helps your lawyer determine if he or she has a conflict in taking your case. The Supreme Judicial Court issued its decision in Galiastro v. MERS and allowed homeowners on appeal to use “produce the note” arguments in their foreclosure defense cases. In Eaton v. Federal National Mortgage Association, the Court held that a foreclosing mortgagee must hold the promissory note at the time of a foreclosure sale. This decision, however, was prospective and applied only to foreclosures whose notices of sale were issued after the date of the decision: June 22, 2012. In Galiastro, the Court extended the “Eaton rule” to parties who had appeals pending in the Appeals Court when the Court decided Eaton. More on this to come, but the Court’s decision makes sense. It would be unjust to allow Eaton to apply for that single case that made it to the Supreme Judicial Court but not for others who were similarly on appeal. To help homeowners avoid foreclosure, state and federal law often requires lenders and servicers to offer loan modifications to qualifying borrowers. Federal programs like the Home Affordable Modification Program (“HAMP”) are designed to get monthly mortgage payments down to an affordable amount (HAMP aims for your payment to be 31% of your income). While the concept is simple, the process often is not. Loan modifications require an enormous amount of time and communication with the lender and servicer. Often, documents get “lost in the shuffle” and require follow-up calls. As a foreclosure defense attorney, one of my services is assistance with loan modifications. As I tell every potential client, unlike many of my other services, you can do a loan modification on your own. But, if you do not have the time or understanding to do it right, you are often better off getting the assistance of a professional. In need of assistance? Contact me today. 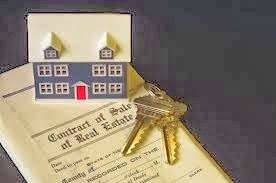 The Massachusetts Foreclosure Blog presents cases summaries on major Massachusetts foreclosure law cases. 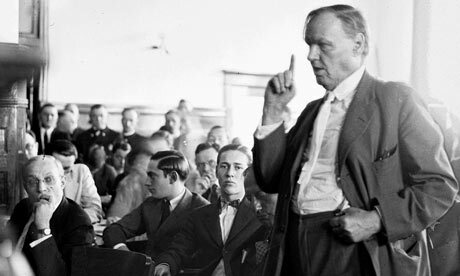 This post discusses Bevilacqua v. Rodriguez, the sequel to the seminal U.S. Bank v. Ibanez decision. Bevilacqua, in many regards, came directly as a result of U.S. Bank v. Ibanez. A little recap: in Ibanez, the Supreme Judicial Court held that a foreclosing entity must have record assignment of the mortgage prior to foreclosure. The Court’s decision had immediate ramifications for property owners in Massachusetts; many foreclosures were now void, and other than re-doing the foreclosures, there seemed to be no way of fixing these “Ibanez” defects. Bevilacqua was an attempt by a homeowner who purchased a foreclosed property to establish good title to his home. As a result of Ibanez, this homeowner did not have good title to his home, due to the underlining foreclosure. To fix this problem, the homeowner brought a try title case against the prior, foreclosed homeowner. A try title case allows a person in possession of land, with record title, to bring a court action against a claimant with an adverse claim to the property and compel them to try their claim from the property, or forever be barred from doing so. In other words, try title requires the adverse claimant to “put up or shut up” their claim against the underlining property. In this case, the claimant was trying to compel the former homeowner to try his claim related to the void foreclosure. The Court didn’t get into the merits of this claim because it found that the claimant lacked standing to raise this kind of action. To bring a try title action, a claimant needs to have 1) possession of the property and 2) record title. This latter requirement was fatal to the claimant’s case. The Court held that because the underlining foreclosure was void, the claimant had no title. In other words, with a defective foreclosure, it is as if the foreclosure never occurred in the first place. So, what are the take home points from Bevilacqua? No easy solutions exist for defective foreclosures. It is estimated that thousands of foreclosure are invalid as a result of Ibanez and other than redoing the foreclosure, there are no quick fixes for ensuring the title of these properties. Bevilacqua rejects the theory of a “good-faith buyer” against a void foreclosure. In other words, a third-party buyer–who had nothing to do with the foreclosure–cannot escape the problems of defective title by merely claim to be an innocent party who purchased a home without knowing about the foreclosure. In foreclosure court cases, these third-party parties often try to make this argument and Bevilacqua seems to amply reject this claim. Several months ago, I had the honor of serving as a judge for my alma mater’s appellate advocacy course. Appellate advocacy is a rite of passage in law school; students are required to write a brief and argue their position in front of a group of mock judges. Your’s truly was Chief Justice of the panel and I had the opportunity to hear fantastic arguments from soon-to-be lawyers. As a mock judge, I was asked to provide feedback to the students. One of my critiques to the students is especially important in the area of foreclosure defense and I’m sharing it here in hopes that it might be helpful to others. Many students, in answering the judges’ difficult questions, would often respond by prefacing their arguments with “I think” or—my pet peeve—”I would argue.” The answers they gave to the judges’ questions were fantastic, but these openings made the arguments less effective than they could have been. Why? The job of an advocate before a court, either for yourself or for a client, is to argue your side to the court. Your job is not to do the judge’s job or, even worse, your opponent’s. When you respond to a judge’s question by stating “I would argue,” you are subtly telling the court that there is another side to the story. Now, of course there is, but it’s not your job to make it—leave that for your opposition! When you respond to a judge’s question by stating “I think,” you are now doing the judge’s job; he or she needs to carefully consider the entire argument you are making, but there is no need to remind this to the Court. Saying “I think” tells the judge that you aren’t confident with your position, which opens the door to the judge looking for reasons to rule against you. Why do law students, lawyers, and talented pro se litigants do this? Is it because they don’t know what they are doing? In my opinion, just the opposite is true: those who say “I think” or “I would argue” know the law really, really well, and understand there are two (or more) sides to the story. And that’s fine….just don’t advertise this to the court. Of course, in making your case, you need to have a good-faith basis in the law, either as a lawyer or pro se party. Frivolous arguments run the risk of sanctions and, even worse, an angry judge. Moreover, in preparing your case, you should always consider the opposing side’s potential arguments, so as to make your case stronger. But, once that’s done, and you are before a court, stick to being an advocate, and only that. This applies to any area of law, but I consider it especially important in foreclosure defense. Foreclosure defense is still an emerging field and many these arguments are new to the courts. Few of these defenses, as I tell my clients, are “slam dunk” wins. For me, in many of my cases, I believe the law is 110% on my side, but I’m not naive enough to think that an opposing argument could not change a judge’s mind. With this in mind, I try not to make my job any harder than it needs to be—and neither should you. Here at The Massachusetts Foreclosure Law Blog, I like to share legal resources that are helpful to lawyers, law students, and pro se parties alike. The Massachusetts Trial Court Law Libraries is a fantastic resource here in Massachusetts. The libraries offer an extensive collection of law books, self-help guides, and access to LexisNexis/Westlaw for legal research. Best of all, it is free of charge. Highly recommend for all of your legal research needs. The Supreme Judicial Court issued its long awaited decision on whether counterclaims can be brought in post-foreclosure summary process cases. In Bank of America v. Rosa, the Court held that alleged former homeowners may bring these claims in Housing Court. A little recap on Massachusetts foreclosure law. Summary process, a fancy legal term for “eviction,” is an action to obtain possession of property. In the context of foreclosure cases, summary process comes after the foreclosing entity has performed a foreclosure and is seeking to remove the occupants from the property. The Supreme Judicial Court has held that a defendant in one of these cases may challenge the foreclosure as a defense to this proceeding. The question for the Court was whether a defendant could bring a counterclaim in one of these cases (an action where a defendant raises a separate cause-of-action against the plaintiff in the same proceeding). Of course, it is important to remember that in summary process, counterclaims are not compulsory (unlike other civil actions). So, even though counterclaims now can be brought in these cases, they do not need to be (and, in some circumstances, probably should not be). More on this to come . . .
A few questions remain from Rosa. The Court’s opinion seems limited to Housing Court, and does does not address summary process cases in District or Superior Court. Is Rosa limited only to Housing Court, or does it include these other courts as well? I also wonder whether the Court’s holding is limited solely to summary process cases in Housing Court, or would also cover Housing Court’s general jurisdiction for matters related to a foreclosure. Rosa, to me, suggests that Court may be open to expanding Housing Court’s jurisdiction to all civil actions challenging a foreclosure, and not merely defenses/counterclaims in summary process. Res judicata is an important topic that comes up in Massachusetts foreclosure law that claimants need to consider in deciding how to defend against foreclosure. Res judicata is the civil law version of “Double Jeopardy.” This defense prevents a claimant from raising matters that had been raised, or could have been raised, in a prior lawsuit. Suppose, for example, that Snoopy sues Pig Pen in Suffolk Superior Court for negligence, from Pig Pen making a mess in Snoopy’s dog house. Based on res judicata, Snoopy will be barred from bringing the same claim in another case later on. If Snoopy loses his case, he can’t go to another trial court and try the same issue over again, hoping for a better outcome. That’s not to say he couldn’t appeal this decision. All parties, as a right, can appeal their cases and ask an appellate court to review the trial court decision for errors of law. What he can’t do is go to another trial court—such as District Court, Land Court, or Federal Court—and try the same issue over again. Importantly, res judicata will also bar Snoopy from raising claims that could have been brought in the prior lawsuit. For example, from the same example above, Snoopy would also be barred from bringing a claim against Pig Pen in another court for nuisance, since he could have raised this issue in Superior Court (along with his claim against Pig Pen for negligence). The test for this is where the claim is based on the same transaction that was at issue in the first action. Since the claim for Pig Pen’s negligence and nuisance arose out of the same transaction—Pig Pen’s mess—Snoopy will likely be unable to bring this claim again, regardless of how strong of a claim it may be. Related to res judicata is collateral estoppel, which prevents claimants from relitigating issues that have already been decided in a prior civil action. For example, suppose that in Snoopy’s Suffolk Superior Court case, the Court held that Pig Pen did not have any ownership interest in Snoopy’s doghouse, and this issue was essential in the outcome of the case. Pig Pen, therefore, would be barred from trying to relitigate this issue in a subsequent case. For example, if Pig Pen brought a case against Snoopy to seek rent that he claims Snoopy owes him from living in the doghouse (or, to be completely accurate, on the doghouse! ), he would be barred from raising the issue over the ownership of the doghouse (which would almost certainly defeat his claim for rent). In law, you only get “one bite at the apple.” This is a popular metaphor for describing res judicata/collateral estoppel and should be remembered when planning a foreclosure defense. Res judicata and collaterial estoppel prevent claimants from bringing multiple lawsuits based on the same thing. Just like poor Snoopy above, you don’t get a “do-over” if you make an ineffective case or miss an issue. This is particularly important for Massachusetts foreclosure defense. This is because in Massachusetts, homeowners can challenge their foreclosures either in (1) a civil action, as a plaintiff against the foreclosing entity or successor, or (2) in an eviction, as a defense to the foreclosing entity’s claimed right to possession. But, with very, very limited exceptions, you can’t challenge a foreclosure in multiple court cases. Your one “bite at the apple” is an extremely important factor in a foreclosure defense, and this makes it especially important for claimants to get good legal advice in this area of law. The best way to fight a foreclosure is to stop one from happening in the first place. While many foreclosures are the result of unexpected financial hardships, far too many are caused by homeowners not understanding the terms of their mortgage loans. The mountains of paperwork that come from a real estate closing doesn’t help either. As the saying goes: hire a lawyer, kill a tree. The Consumer Financial Protection Bureau’s (“CFPB”) new “Know Before You Owe” mortgage loan disclosures are intended to make this process easier. This initiative combines several, existing disclosures under federal law into new forms. The goal is to make it easier for consumers to compare loans and understand the financial implications of their decisions. With the foreclosure crisis far from over, the CFPB’s initiative is a step in the right direction. As foreclosure cases increasingly become litigated in Massachusetts, foreclosure by entry—once considered by many to be a mere back-up option—is becoming an important area of foreclosure practice. Nearly all foreclosures in Massachusetts are foreclosures by power of sale, or “non-judicial” foreclosures. With the exception of the Servicemembers Civil Relief Act case, meant solely to determine whether a claimant is in the military, a foreclosing entity does not need to bring a court case or obtain a judicial order to foreclose a property. However, while a non-judicial foreclosure allows a foreclosing entity to obtain title to a property, it must go to summary process (the lawyerly word for an eviction case) to obtain possession of the premises. In Bank of New York v. Bailey, the Supreme Judicial Court held that a defendant in a summary process case involving a foreclosed property may challenge the validity of the foreclosure as a defense to the plaintiff’s claimed right to possession. This had lead to summary process becoming an active forum for deciding the validity of foreclosures in Massachusetts. Given the complexity of the issues in these cases, these matters often last well beyond the timeframe for a typical landlord/tenant case. Foreclosure by entry is another type of foreclosure in Massachusetts. Compared to a foreclosure by power of sale, a foreclosure by entry has far fewer statutory requirements. Pursuant to G.L. 244 § 1, a mortgagee can obtain a foreclosure by entry by making an “open and peaceable entry” on the mortgaged land. Then, the mortgagee must record a certificate of this entry in the land records, signed by two witnesses. The holder of the mortgaged property then has three years from the date that this memorandum is recorded to “oppose” this entry. If this entry is not opposed, the mortgagee is entitled to foreclosure. While a foreclosure by entry has fewer requirements for foreclosure, this process requires a three year “wait period;” a timeframe that is significantly longer than a foreclosure by power of sale. In the past, mortgagees would often file a certificate of entry as a backup plan with little expectation of this method being needed for foreclosure. Often, the mortgagor will have left the property long before this three year period has elapsed. Today, however, foreclosure by entry promises to take on a greater role in Massachusetts foreclosure law. Why? With the increased number of foreclosures in the Commonwealth, and the increased number of defenses in these cases, a mortgagee can easily be defending against a foreclosure years after the non-judicial foreclosure occurred. Challenges to foreclosures are almost always about the non-judicial foreclosure and involve challenges to the foreclosing entity’s standing to bring the foreclosure and whether the involved parties followed the proper notice requirements. Creeping in the background, however, is the foreclosure by entry. With the complexity of the issues in these cases, and the backlog of the trial courts, many of mortgagors challenging their foreclosures find themselves getting close to the three-year deadline for challenging the foreclosure by entry. For a process that has existed for over years, little case law exists on foreclosure by entry and like any challenging area of law, there remains more questions than answers. One unresolved issue is what constitutes “opposition” for a foreclosure by entry. Does a mortgagor need to specifically oppose the foreclosure by entry or is an opposition to foreclosure in general enough? This issue has faced many mortgagors who have diligently challenged their non-judicial foreclosures, but have not specifically addressed the certificate of entry. It is also unclear whether the Supreme Judicial Court’s U.S. Bank v. Ibanez holding is applicable to mortgagees performing a foreclosure by entry. Ibanez requires a foreclosing entity to be the holder of the mortgage at the time of the non-judicial foreclosure. Ibanez’s reasoning would seem to apply equally to a foreclosure by entry, but it remains unclear whether certificates of entry recorded by entity without assignment of the mortgage would equate to a valid foreclosure by entry. Finally, it also remains uncertain whether the notice provisions for foreclosures, under both statutory law and the terms of most mortgages, apply equally to foreclosures by entry. The majority of trial court decisions in the Commonwealth have taken the position that non-judicial foreclosures must “strictly comply” with these requirements. This notice requirements seem to be written broadly enough to cover all methods of foreclosure, but only time will tell if these challenges are effective against foreclosure by entry. The little case law that does exist regarding foreclosure by entry suggests that any type of opposition is sufficient to challenge a certificate by entry. To be on the safe side, such opposition should specifically address the certificate by entry and make it certain that the mortgagor objects to this specific method of foreclosure. Demand letters, affidavits, and notices of trespass addressed to the mortgagee all seem to be adequate means of making this opposition. Depending on the registry of lands, a G.L. 183 § 5B affidavit related to land may also be option.